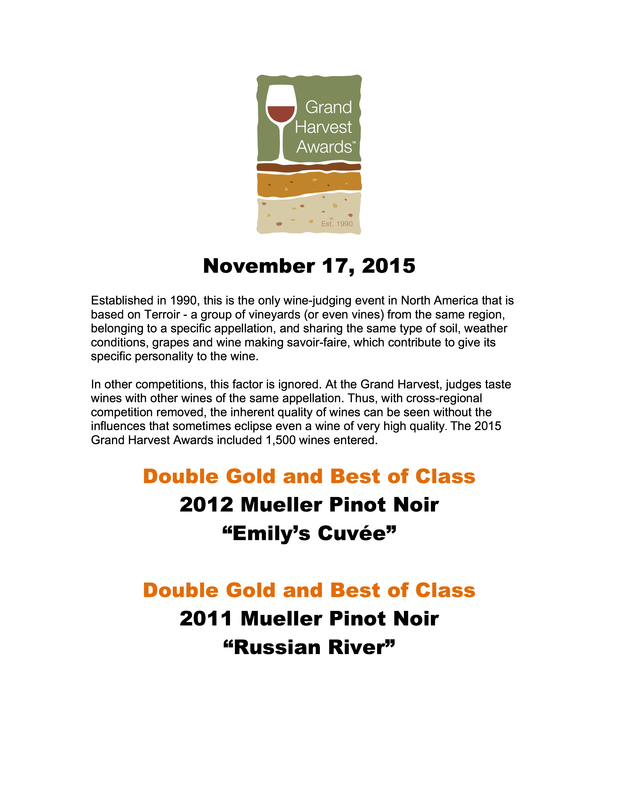 We are very pleased to announce results from the recent Grand Harvest Award competition that took place in November. 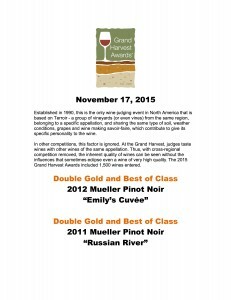 Two of our Russian River Pinot Noirs were each awarded a Double Gold Medal and Best of Class. These wines are both available in our tasting room in downtown Healdsburg. We are proud!